People, you are awesome! That's all there is to it. I was filled with quite a bit of trepidation when I published about my last post, about my plans for Crochet Corner. I thought about not publishing it a couple of times actually, because I feared you'd all think I'd lost my mind or I don't know what, was just being too blooming ambitious I suppose. But you were wonderful and supportive and fabulous, as you always are, and I am so glad you took the time to send me your encouragement and enthusiasm. Thank you, I really appreciate it. It's the first week of our two week Easter holiday here, so not a lot has happened on the crafty front this week. We've been busy doing other things but the sun has shown it's face and allowed me to get a few shots of my second Loopy Lou Poncho. I'd decided to make a second one for Madam, partly because this is the first pattern I've made in different sizes and I wanted to test out my calculations on a little girl version and partly because, well, she asked for one. She wanted the same pink but we decided to use use some different contrasting colours in hers for a younger feel and also because it had to have purple in it, because that's her favourite. I just used some stashed Stylecraft for the pink and lilac and the blue was some duck egg colour I had left from ages ago. The size turned out well I'm glad to say and I think all that brain busting number wrangling that went on when writing the pattern has actually worked out more or less ok. The pattern is with the testers at the moment, and they are doing wonderful work ironing out the chinks. So hopefully this little pattern will be ready quite soon. My model quite got into the spirit of posing after a while, she does love something she can spin in, and the poncho is proving useful to throw on and throw off again on these changeable spring days too, so we're both happy with that. 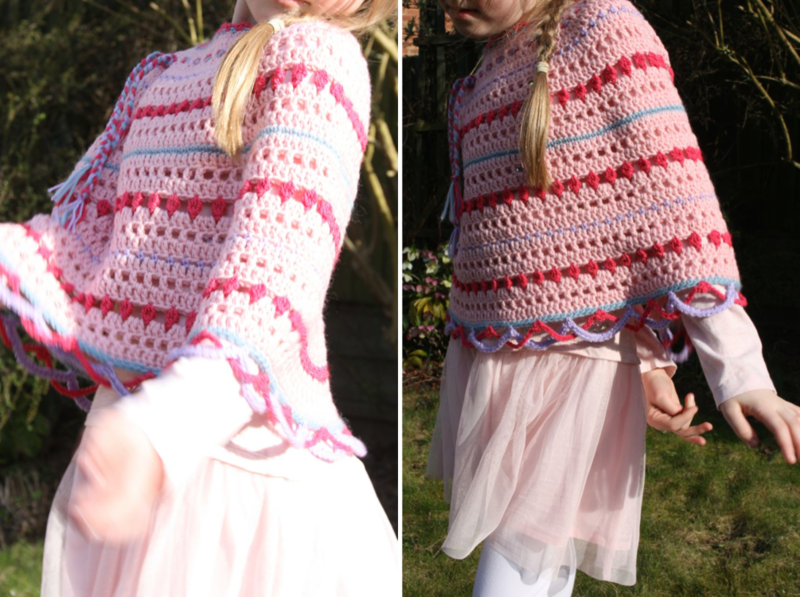 What a gorgeous girly poncho!! I know my little girl would like one of those - and purple is her favourite colour too! 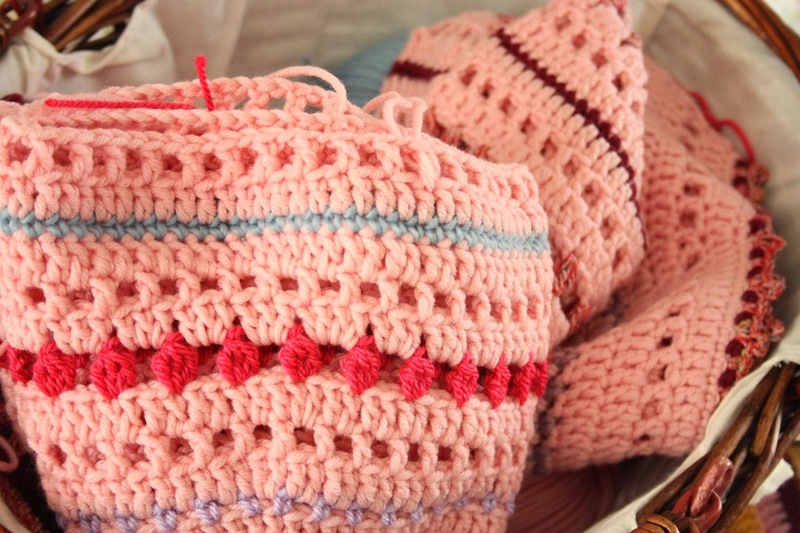 Well done - and go you with the crochet corner idea. Fab!! Oh I love this, it's gorgeous! You're on a roll! 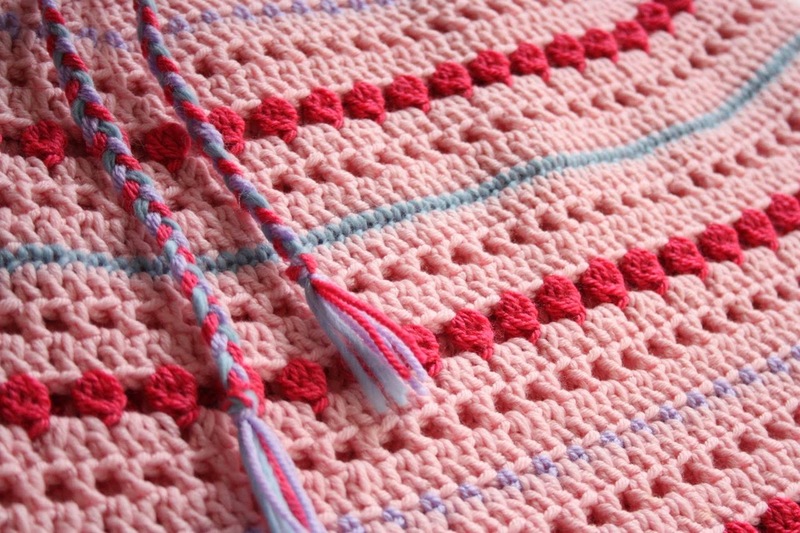 Another beautiful crocheted project from you! Love the colors in this one...so sweet for a little girl. Amazing work, girl! So sweet! As always, I love how you put colors together...colors I wouldn't think of but that look so great together. I am really on the hunt for the Duck Egg Blue and the pink/fleshy color....LOVE!!!! So glad you're feeling good about "your next great adventure"! You go girl! But also enjoy your family and your vacation. I really like the pattern you used on this poncho. I don't have any girls to make this poncho for but I can adapt this pattern to an adult size. Oh my! I think I am in love!!!! Perfect poncho - Iove the border, you did a great job. It's brilliant, I'm sure she'll wear it non-stop. You definitely have a gift for this, I know your crochet plans will be successful, and I'm so inspired by your dreams. 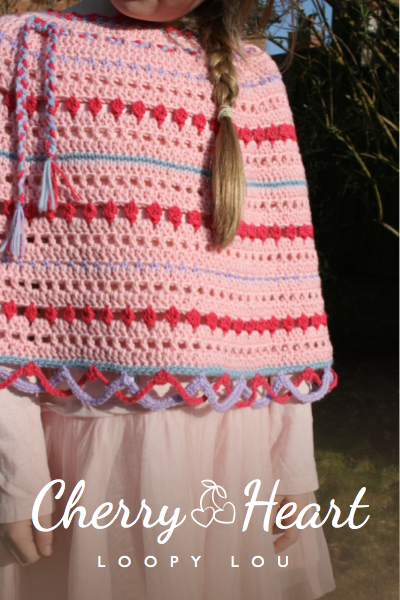 Any little girl would love this pretty poncho! After following the link 'When is a shawl not a shawl? ', I was wondering if you ever did write up the pattern for this gorgeous flower shawl. If you did, I would love to purchase the pattern, in particular I'd like the pattern you used for the flowers. Thank you! 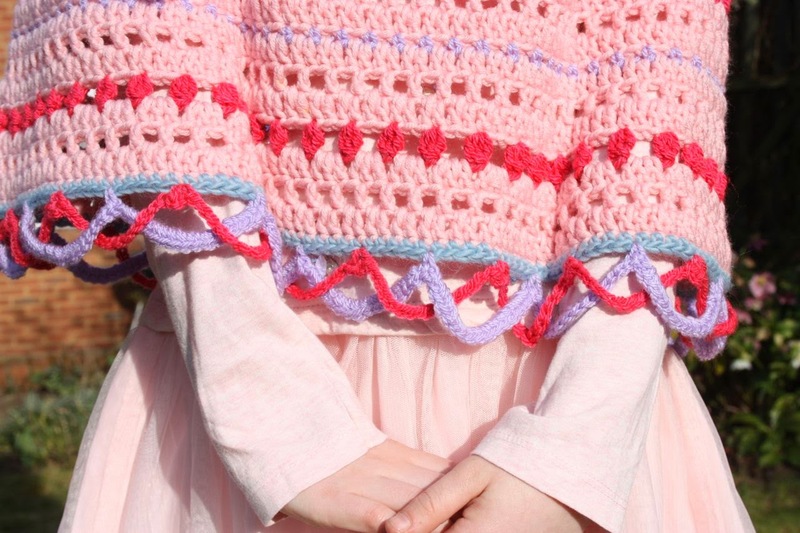 Any little girl would love this pretty poncho. After following the link 'When is a shawl not a shawl?' I was wondering if you ever wrote up the pattern. If you did I would love to purchase it, in particular I would like to purchase the flower pattern. Hoping you can help me out. Thank you! I remember moments like this when I was young. How heavenly blissful spinning around in something so special and pink! Never throw it away. Keep it for her forever and ever. Just holding it in her hands when she is 60 or so will bring back all the love and delight. What a lovely gift. What a lucky girl.